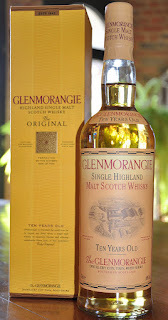 Glenmorangie Spìos, Glenmorangie’s first single malt whisky fully matured in American ex-rye whiskey casks has been revealed as the ninth release in the Highland Distillery’s Private Edition series. With its uniquely savoury and full-bodied character, Glenmorangie Spìos is ideally known to recount the glittering heyday of American rye whiskey. In the late 1990s, as Dr Bill Lumsden, Glenmorangie’s Director of Distilling, Whisky Creation & Whisky Stocks, travelled to the U.S., the rare cinnamon and clove notes of this scarce whiskey caught his imagination. To make Glenmorangie Spìos, he sourced the finest first-fill casks from American rye whiskey’s heartland of Kentucky.